The yogurt bowl from Lion and Shark was a nice brunch before leaving Ao Nang for Krabi Town. A short-cut did by the driver forced me to walk for around 10 minutes to Pak-Up Hostel. It was fine if not for my bulky and heavy backpacks. While checking-in, I immediately looked for the registration form for the Tiger Cave Temple tour. Pak-Up Hostel reception and common area. Funny was, I noticed words like English, Math, and IT on the other column next to participant’s name. I figured out that rooms are school subjects but I had a laugh when I saw “German” and “Irish” on the list. Nonetheless, I continued writing down my name to secure a slot for the afternoon tour. Later on, I found out that the building was once an old primary school, hence, the dormitory room names. The afternoon trip from Pop-in Hostel leaves at 4 PM so I settled in my room and thrown my backpack inside the locker. Turned out that since Pak-Up Hostel is in Krabi Town, departure for the tour wouldn’t leave until 5 PM. I spent few minutes lounging at the common area in the lobby while waiting. Reception hall is larger compared to the one in Pop-In Hostel. Throw pillows are also present but of different colors and brand tagging, of course. Few couches, bean bags, and a flat-screen television join guests on the lounge. Two sculptures of kids on swing scared me at first when I saw them on the ceiling. 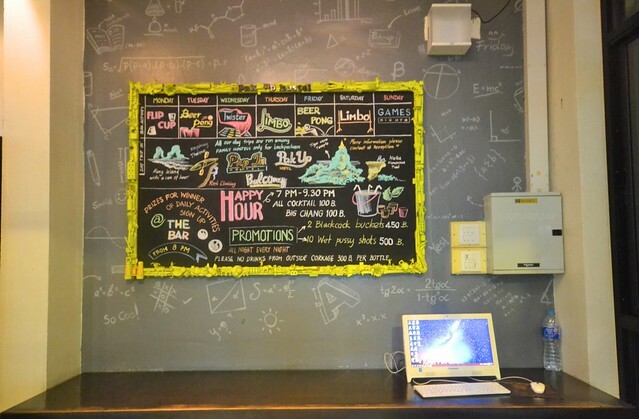 A board on the rear side indicates all bar activities and day trips for the entire week. On that day, apart from the sunset tour to Tiger Cave Temple, it was also the day for the Ao Nang Pub Crawl. Outside the reception hall is a small patio that serves as the smoking area. Photo grabbed from the property’s website with their consent. After the tour, I plunged myself on my bed and tried to nap before dinner. It was a tiring climb to the temple and sleeping was more important than filling my rumbling tummy. I got a bed in English room but most occupants were Germans. 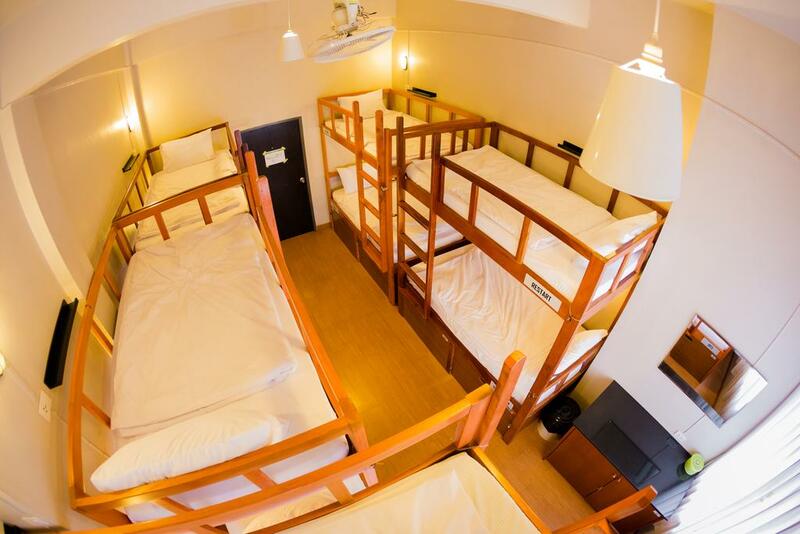 Kidding aside, the room is an 8-bed mixed dorm room. 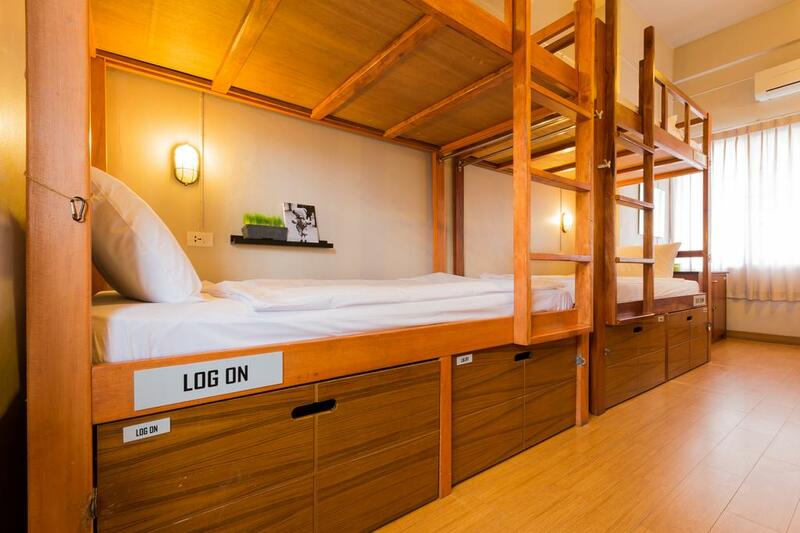 Each bed is provided with a pull-out locker at the bottom of the bunks, power plug, reading light, and a small space for small items. Shower and toilet for men and women are separate. This is for the male guests. Similar with Pop-In Hostel, Pak-Up Hostel also provides free barbeque every night. You can have it at the hostel’s bar, Playground Bar. 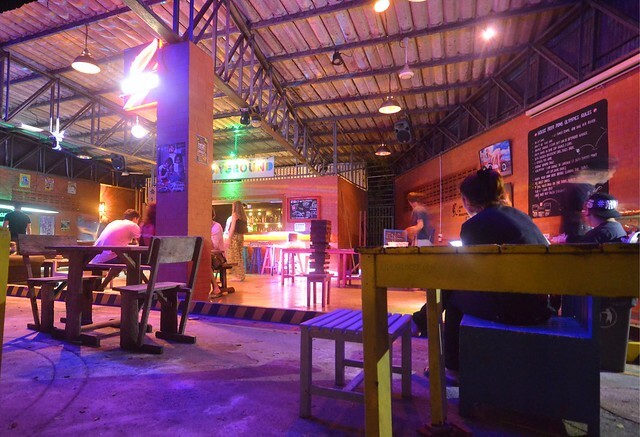 When the sun goes down, propulsive music will surround the place with travelers enjoying billiards, beer pong tournaments, and the Drunken Jenga game. 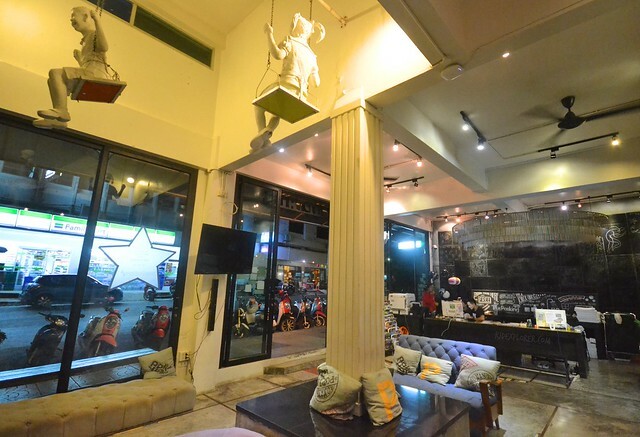 The bar is also part of the Ao Nang Pub Crawl. In terms of accessibility to the food scene, there’s a coffee shop just beside the hostel and few more about twenty meters from the place. A night market, where you can have rice meals, noodles, pancakes, and shakes, is just down the road. A convenience store is also across the road. Pak-Up Hostel is accessible to everything! 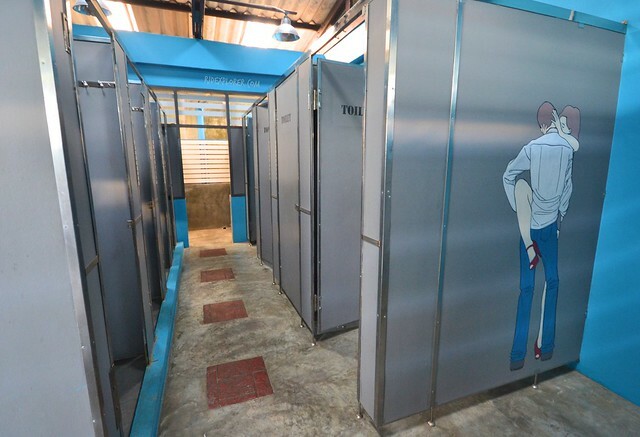 Apart from the hostel activities and quirky graffiti and arts, it is nice to see that the management tries to give back to the local community. On my visit, they were supporting Krabi Pitak Pracha Foundation to purchase a new ambulance. 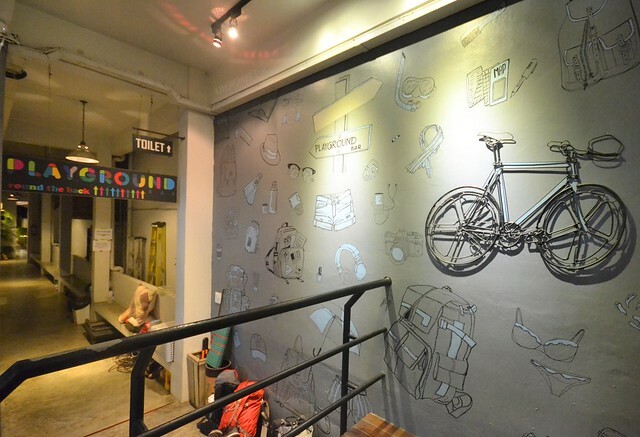 For every guest staying in Pak-Up Hostel, THB10 goes to the foundation. If you like to donate more, you can approach the ever-smiling hostel crew. 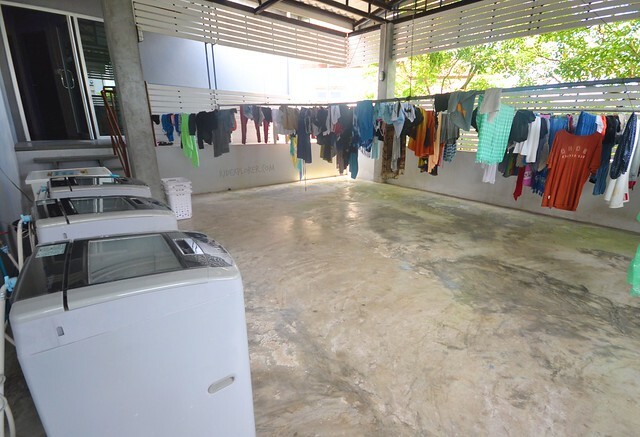 Laundry facilties and drying area. 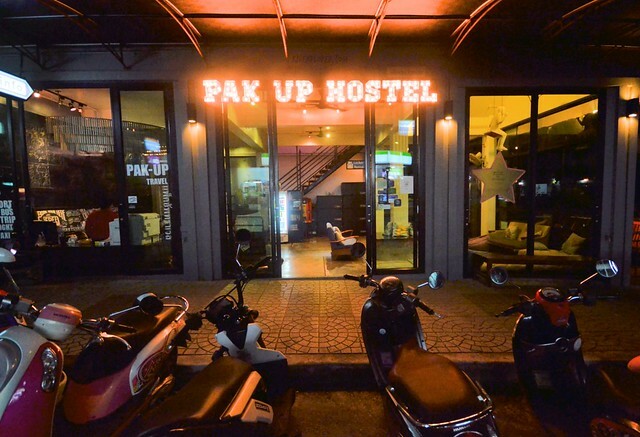 Pak-Up Hostel is listed as one of the Top 3 best hostels in Asia by Hostelworld. And this reputation will ensure you best and quality accommodation without breaking your daily budget. 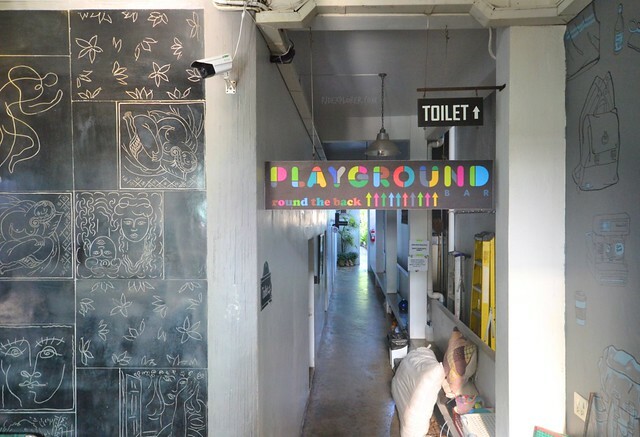 Another thing that makes this hostel a standout from the rest in Krabi Town is that the hostel staff treat travelers not only as guests but friends and siblings. Heading to any part of Thailand, they can help you book for your transportation. 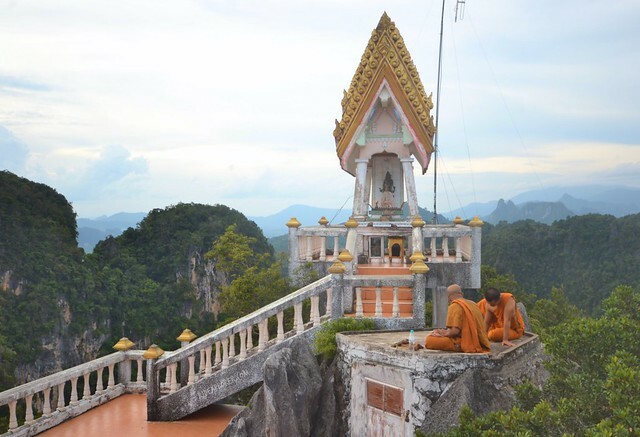 Signed up for their tours, they will join you in kayaking and temple hopping. 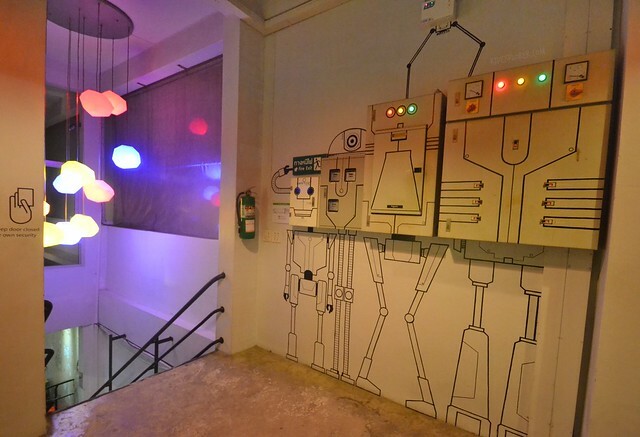 A hostel you would definitely go back to when you’re in Krabi, Thailand.